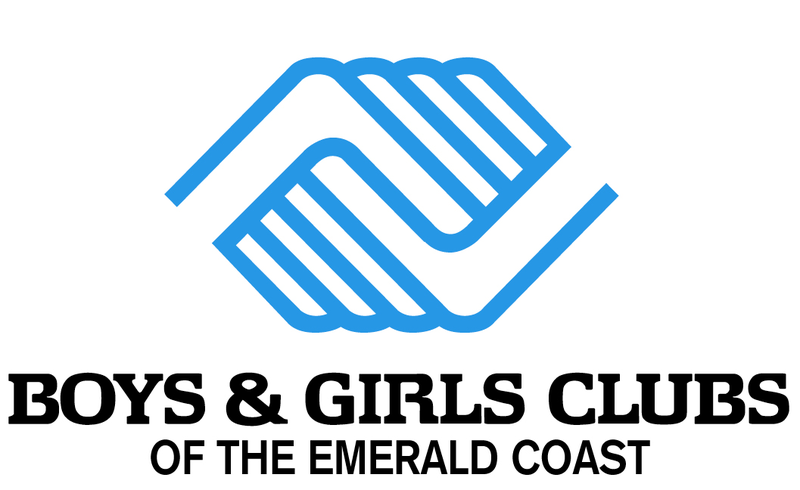 Join the Boys and Girls Clubs of the Emerald Coast for the 2018 Stake and Burger Dinner at the Hilton Sandestin on November 8th! 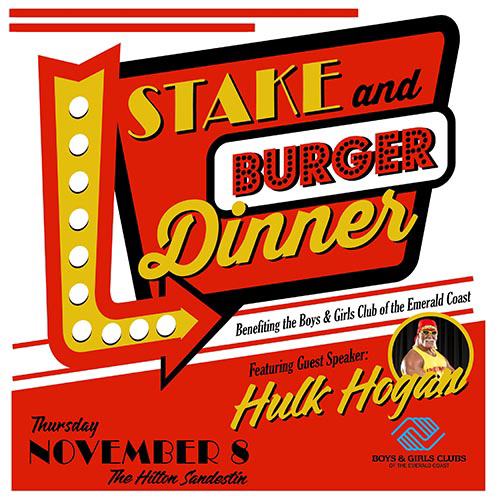 To help celebrate the 50th Anniversary of the Boys and Girls Clubs of the Emerald Coast, we are throwing it back and having a retro themed dinner with a guest speaker that you do not want to miss, Hulk Hogan! The retro-themed evening will feature an incredible 50th anniversary celebration, great raffle prizes and silent auction items, a build your burger bar and, of course, inspirational words from Hulk Hogan. A 12-time world champion, Terry Bollea a.k.a. Hulk Hogan, is considered by many to be the greatest professional wrestler of all time. What most people don’t know is that before the Hulkster became the face of the WWF, now the WWE, he spent his formative years at the Interbay Club of the Boys & Girls Clubs of Tampa Bay and was inducted into the Boys & Girls Clubs of America Alumni Hall of Fame on May 3, 2018. General admission tickets are $125 and include admission to this retro-themed event, your meal and a drink ticket. For $175, you can purchase VIP tickets, which include admission to the VIP Reception, food service to your table, a bottle of champagne for the table and priority seating during the program in addition to what general admission tickets receive. VIP ticket holders will also have a chance to mingle with the Hulkster during the VIP reception, which is set for 5 p.m. the same evening. Sponsorships for this event are available. To learn how your business can be involved, please contact [email protected]. To learn more about this event or to purchase tickets, visit www.emeraldcoastbgc.org.